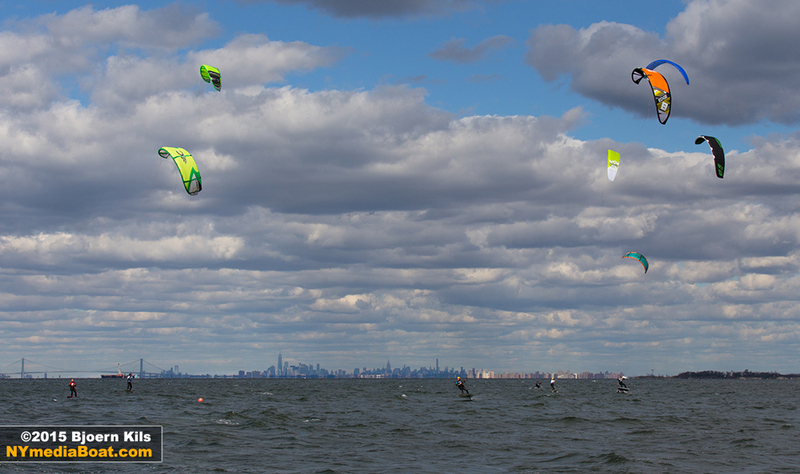 The beach at Sandy Hook Bay Catamaran Club is lined with kites and spectators, as the 2015 Foil Race & WOO Big Air Contest is happening this weekend. 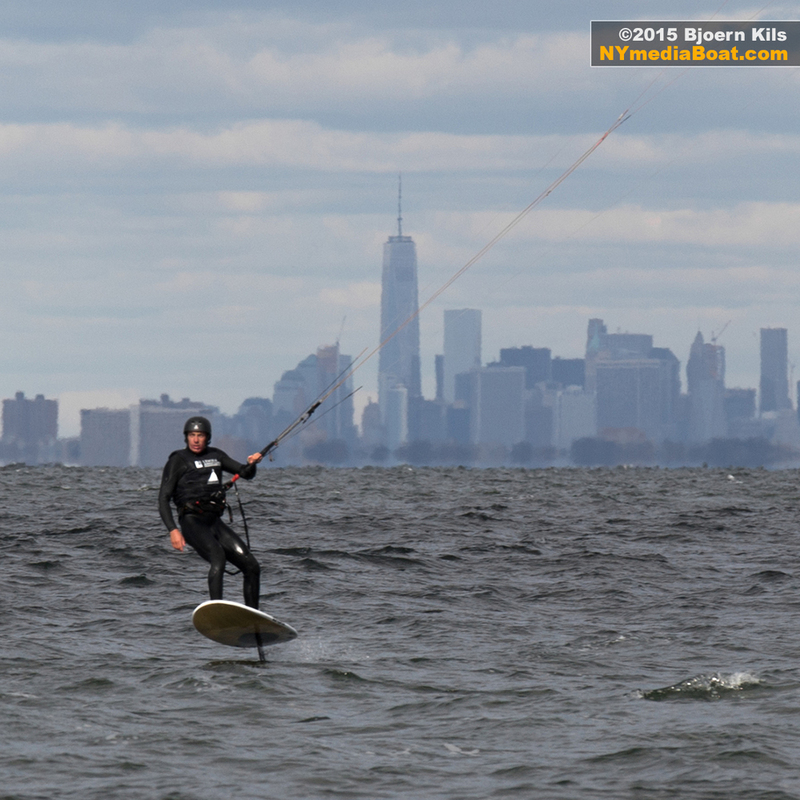 Green Hat Kiteboarding put on the event calling all kiteboarders and foilboard riders from the tristate area to get together, and compete. 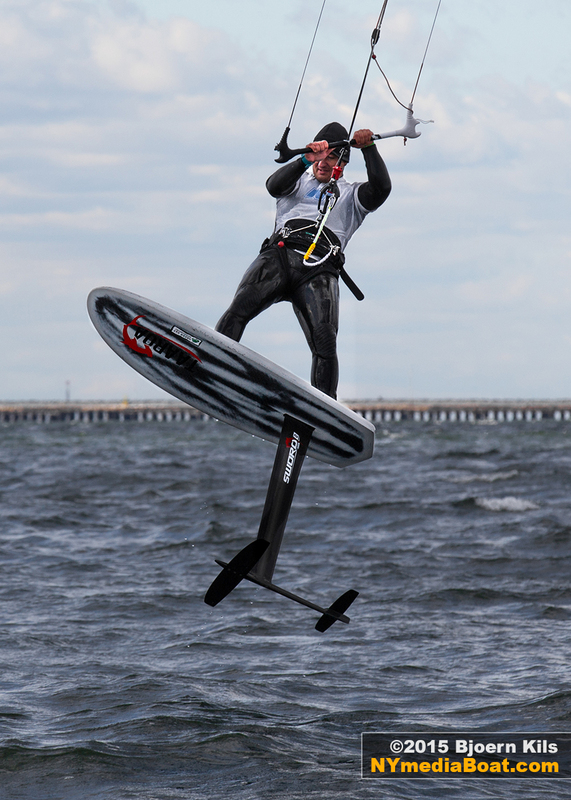 While the foil race course was set up in deeper water about a half mile from shore, the WOO Big Air competition could be watched right off the beach. How high do they jump? 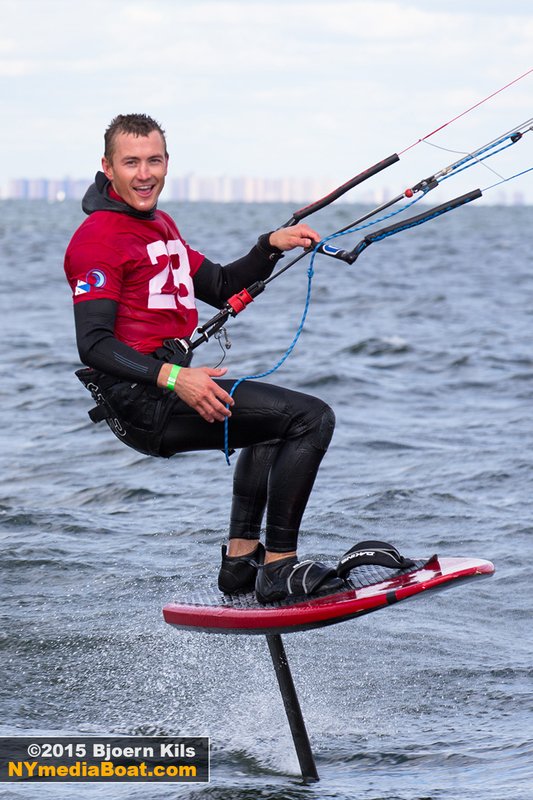 On Saturday Denis Televnyy took 1st Place at 33.3 feet. 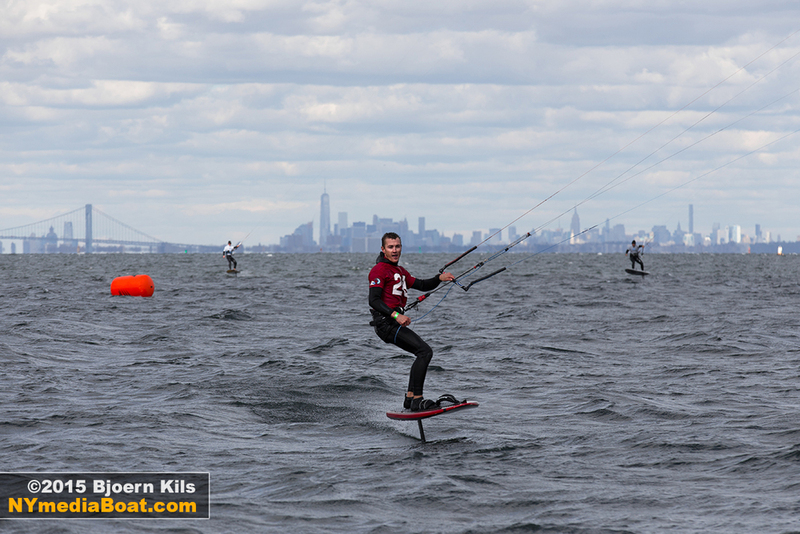 Rudy Willemson claimed 2nd at 31.4 feet with 5.3 seconds airtime, closely followed by John Keenan who matched the height but landed 0.2 seconds sooner. All height and airtime data are recorded by WOO clip-on sensors, attached to each board. As Manhattan braces for the blizzard, we head for the beach just south of the Statue of Liberty. 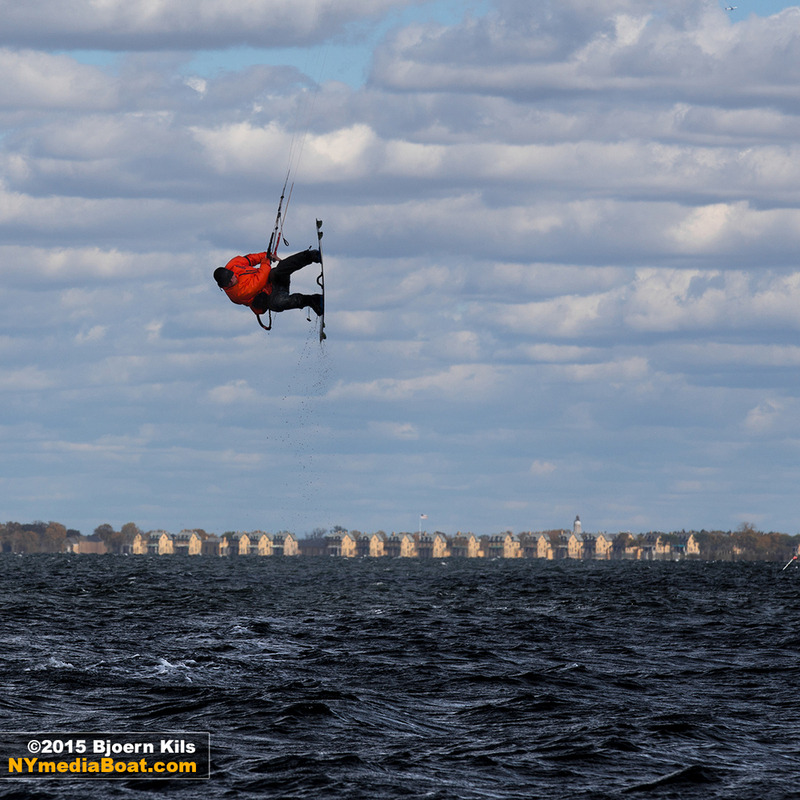 Dressed in dry-suits and equipped with cameras and kites, we aimed to get some photos before it got dark. 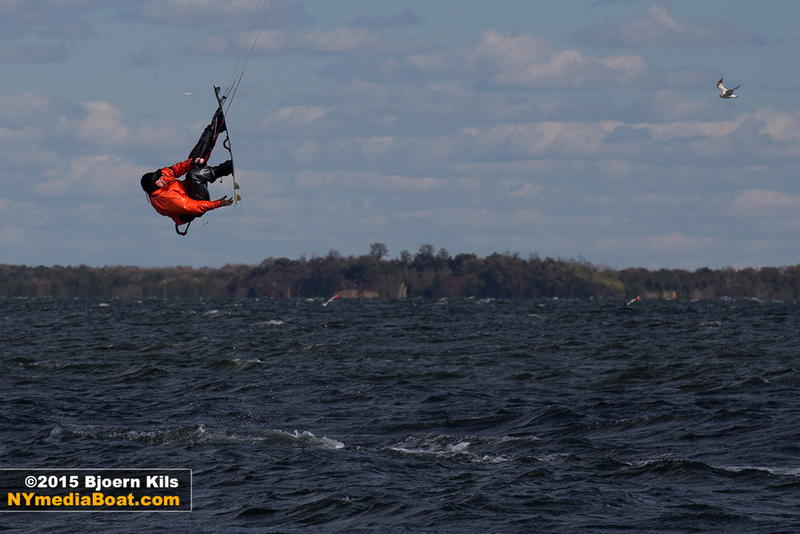 Unfortunately the wind hadn’t picked up just yet so Dariusz was a bit underpowered on the 10-meter Nobile kite. 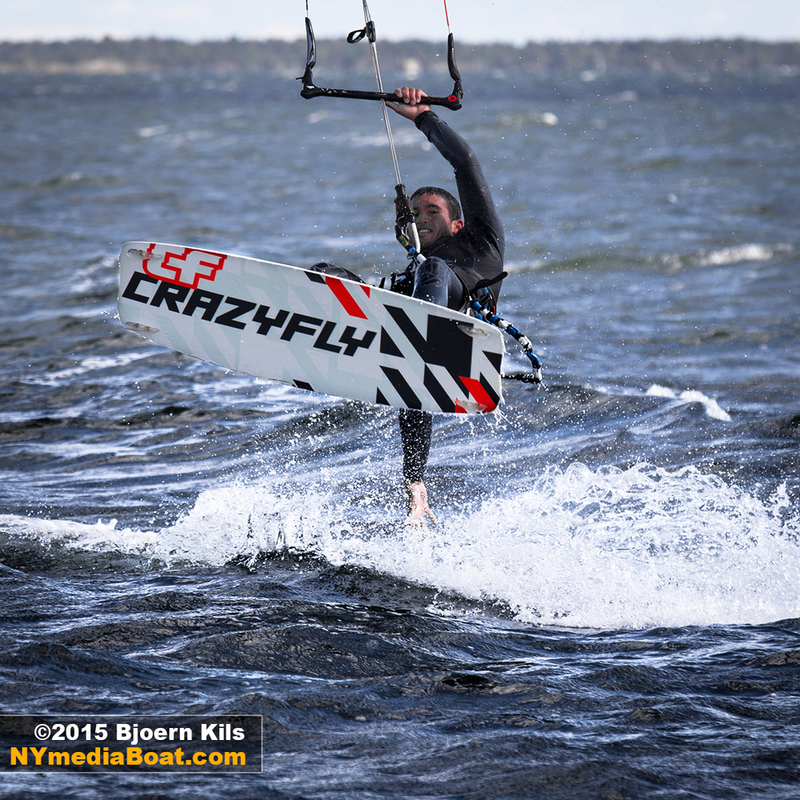 A cold but fun session! 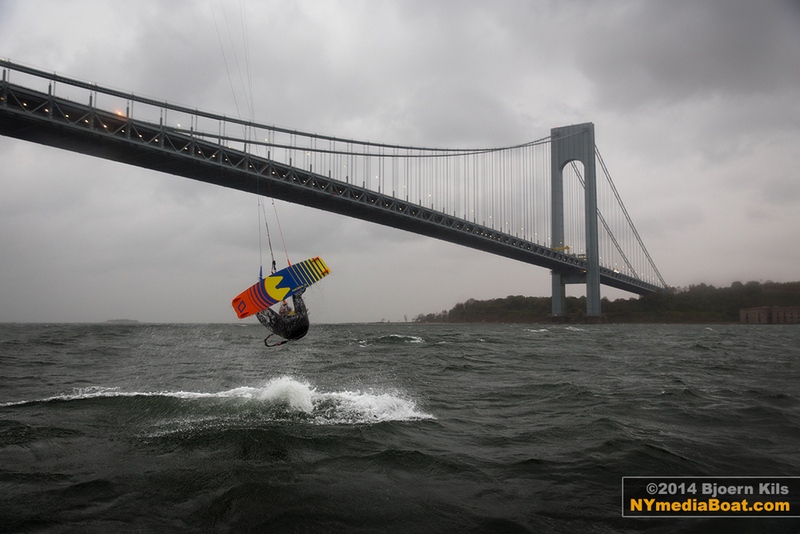 As the Nor’easter stalled offshore, slamming the Tri-State area with rain and 30+ knots of wind, Dariusz Garko launched his kite. 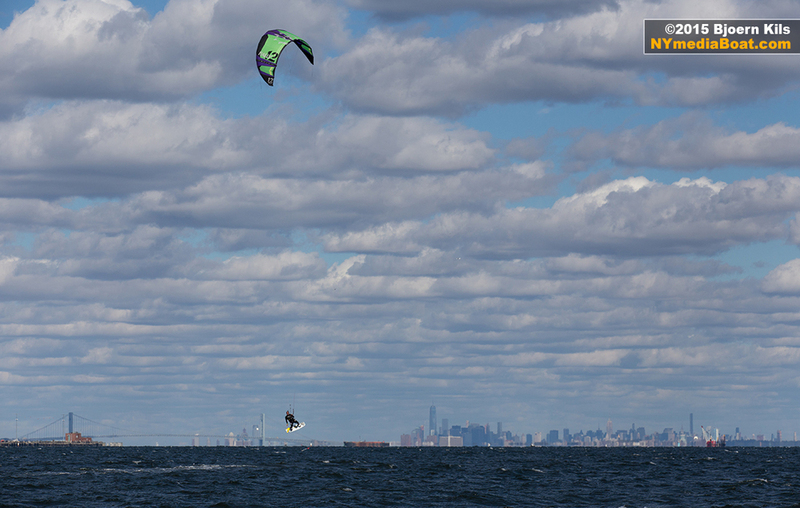 He’d been waiting for these conditions to kiteboard straight through New York Harbor and under the Verrazano Bridge on a course set for Coney Island — an unprecedented session. 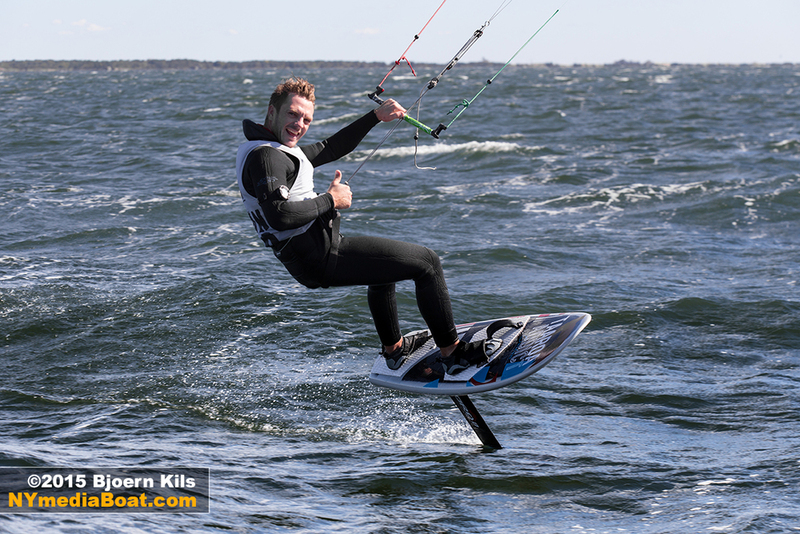 Garko, a professional high-performance athlete, became a ‘Nobile Kiteboarding Ambassador‘ earlier this year. 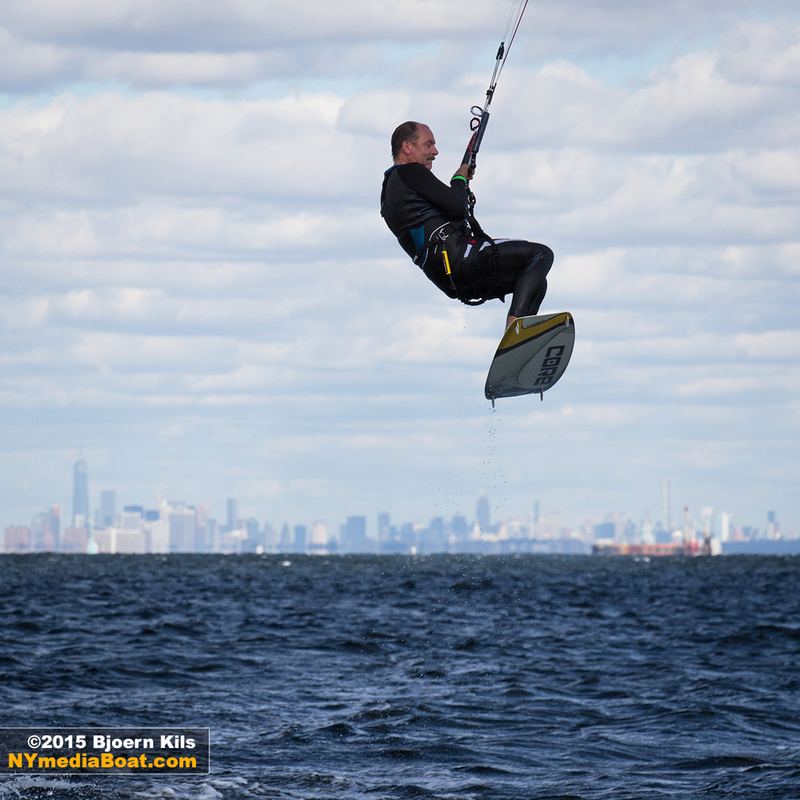 He launches right from his backyard, which slopes into New York Harbor. 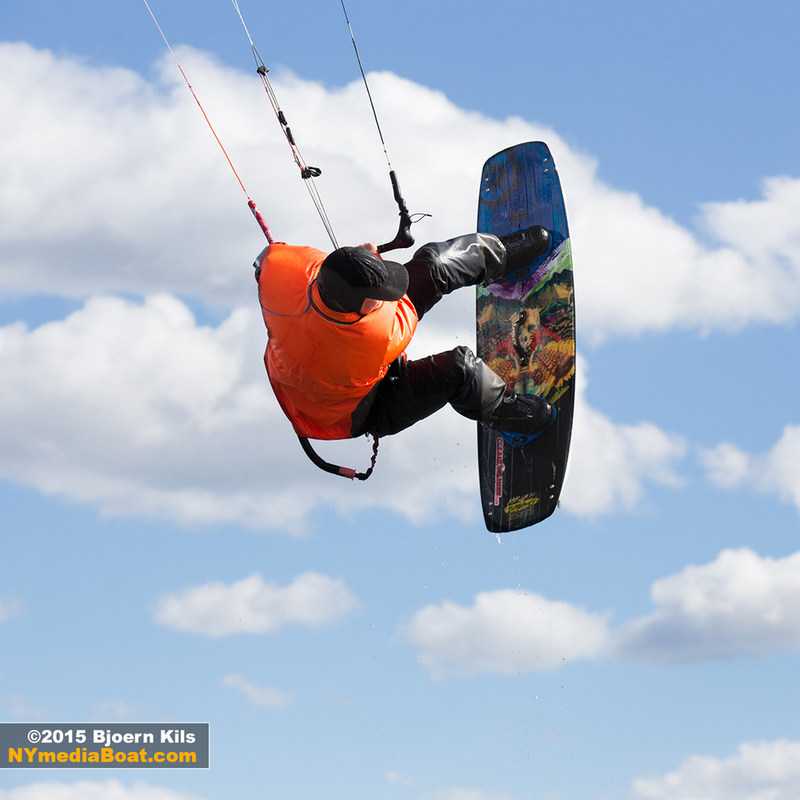 For this downwind run, Garko chose a 2015 T5 7.5-meter kite and grabbed his NHP 134-cm board. 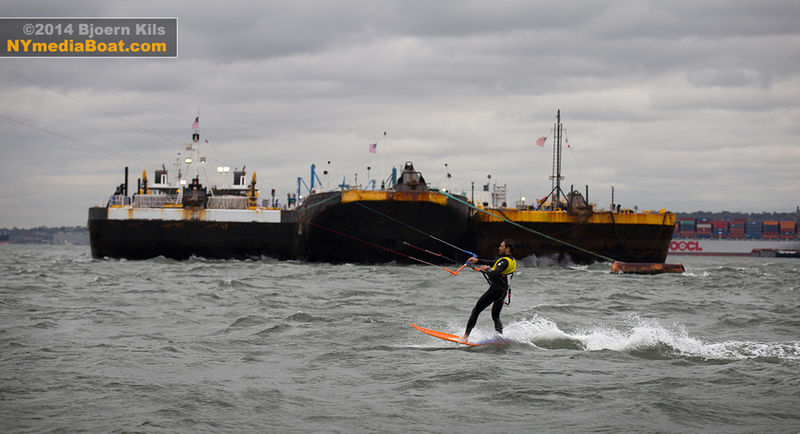 Staying clear of barges, ferries, and cargo ships, he shredded past the Statue of Liberty, skipping over the choppy Hudson at a solid 20 knots, occasionally throwing some huge aerial maneuvers for tug boat captains and commuters riding the Staten Island Ferry to enjoy. 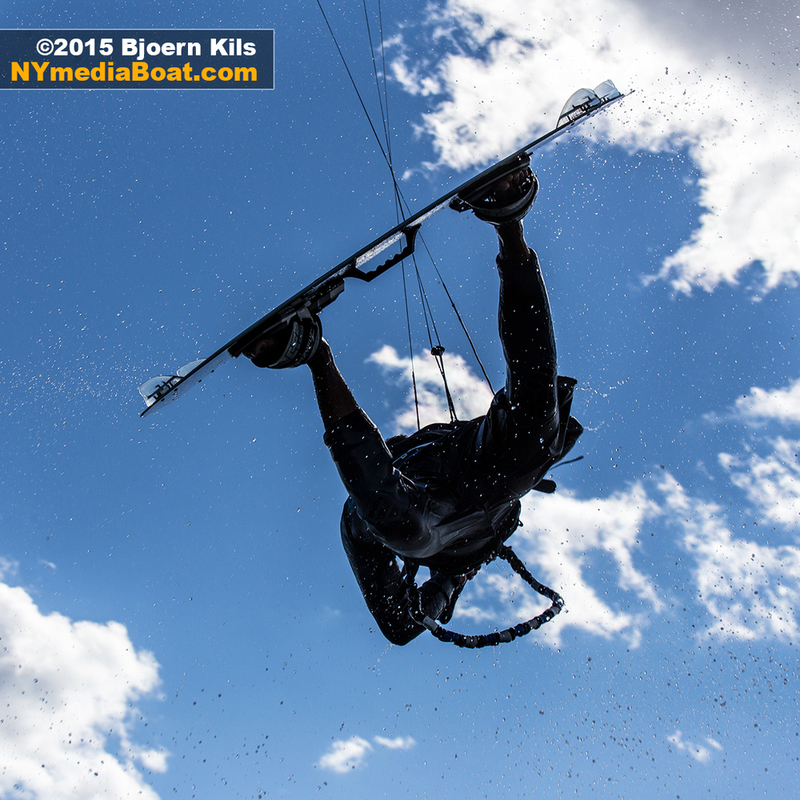 We decided to chase him with New York Media Boat to document some of the action, and put our new OUTEX camera housings to the test.